Ex-senior police officer Brian Paddick says former officers who become PCCs may find it difficult to their keep distance. Former police officers should avoid standing as police and crime commissioners because of the potential damage to the Service if their impartiality is called into question, a former ACPO officer has said. Ex-Met DAC Brian Paddick said PCCs could be seen as being “in league” with chief constables – if they had once served as officers. He said he would find it “bizarre” to stand as a PCC as the role was created to ensure the police did not just pursue their own objectives – and were held to account by a public face. As many as seven of the new PCCs in England and Wales are former police officers. Speaking at the PCC Summit in Birmingham, Mr Paddick, who twice ran as London Mayor, said it was better for PCCs to take advice on how to hold chief constables to account than having experience as officers themselves. Mr Paddick admitted at the Summit than he had recently become a policing consultant himself on behalf of a company, Public Partners. 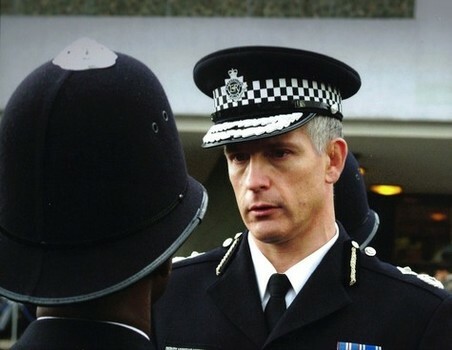 During a debate Mr Paddick said: “As a former police officer performing that role (as PCC) seems a little bizarre to me. Panel chairman, broadcaster Michael Crick, suggested however that former officers knew “where the bodies were buried” and “how to work around the system”. Speaking later to PoliceOracle.com, Mr Paddick added: “If the whole principal of having PCCs is to ensure the police do what the public want rather than what the police think is a good idea – there are obvious concerns if the PCC is a former officer. Mr Paddick said part of his consultancy work would be to brief PCCs on how to ask the questions of chiefs that mattered – enabling them to get behind the rhetoric. He said: “We have seen with Leveson, with Hillsborough, that police authorities have not been effective in asking the right questions or the difficult questions of chief constables in order to ensure the police are doing the right thing. “Even police statistics – claiming crimes are being cleaned up when in fact they haven’t been.